AFRICAN AMERICAN REPORTS: Ben Carson calls shooting of unarmed black man an "execution"
During the National Action Network convention Dr. Ben Carson called the shooting of Walter Scott an execution. You know you screwed up when even Mr. "Say bad stuff about black people" questions your actions. Yeah, it could have been the venue or the fact that this shooting is was caught on video but I'll give Carson the benefit of the doubt on this one. 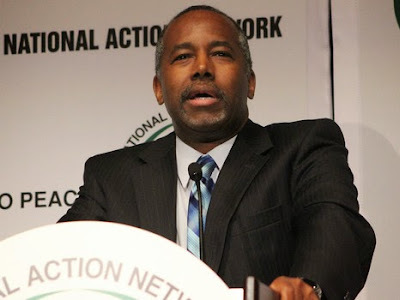 Watch Dr. Carson's comments below.